​Incredible visuals have been captured of the moment a fire spout formed inside a bushfire in the South West of Australia on 23 February 2019. 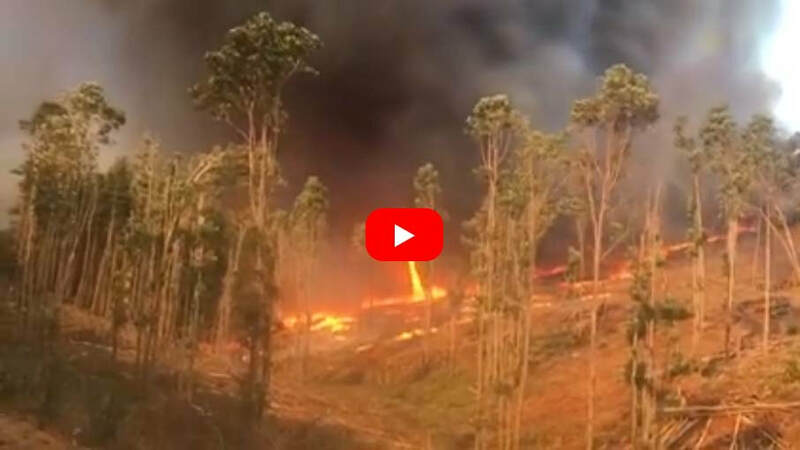 A volunteer from the Thomson Brook Volunteer Bush Fire Brigade caught the spout, which some social media users have called a ‘mini fire tornado’, at a pine plantation while battling the Southampton bushfires that Tuesday, the first day of the fire. It was posted on social media, with dozens of people expressing their awe over the sight. “Amazing video footage of the flames rising up into the ash cloud from the Thomson Brook BFB Team. Best wishes to everyone out there fighting fires,” one person wrote. “That’s why they struggled with this fire, nasty fuels, steep terrain, limited access a nightmare of a spot! Been to a few there over the years,” wrote another. The fire burnt through more than 3300ha of land. Department of Fire and Emergency Services (DFES) said four sheds and four vehicles were destroyed.